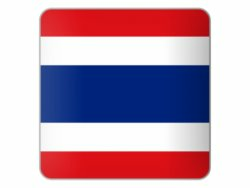 If you are married to a Thai or have a Thai child then you can live in Thailand on a marriage visa also known as an “O” visa which is a Thailand visa for a foreigner with a Thai family. 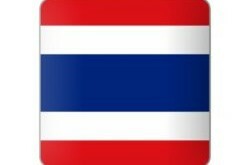 The requirements for the visa are as follows including the financial requirements of the “O” visa in Thailand. Note that this is a 3 month visa when you enter Thailand and needs to be extended inside Thailand much like the retirement or “OA” visa in Thailand as listed on this website. Never overstay your visa. The requirements are that you are married to a Thai citizen. This is proven by your marriage certificate. If you have a Thai child you need at show the birth certificate with your name on it. Both require a copy of their Thai national ID cards. This is what is taken by the Thai embassy when you apply for the 90 day or 3 month marriage visa for Thailand. Note that if you are going to register you marriage in Thailand then you need to have a ‘Certificate of no impediment’ and each Embassy has its own format. Once this is handed in with your application form and the fee they will issue you with a 3 month Thai visa. Once in Thailand you have 90 days to extend this 90 day visa at Thai immigration. This is what you will need at immigration. Once this is handed in it normally takes 2-3 weeks to get the process done an a 1 year visa issued. Most expats in Thailand married to a Thai usually use the services of a visa agent or attorney in Thailand as the process can drag along if you don’t know the procedures. Once you have the 1 year visa always ensure that before you leave Thailand that you have applied for a re-entry permit or your visa will be invalid when you return. NOTE : If you are applying at the local Thai embassy in your country they may now require you to show at least 100,000THB in a Thai bank account. The Thai Embassy in Malaysia now requires that for the 12 month (multiple entry) marriage visa you must now show 400,000THB and the Thai Embassy in Amsterdam now requires you to show a minimum of €2,000 equivalent in a Thai bank account. Check with the Thai embassy in your home-country beforehand.